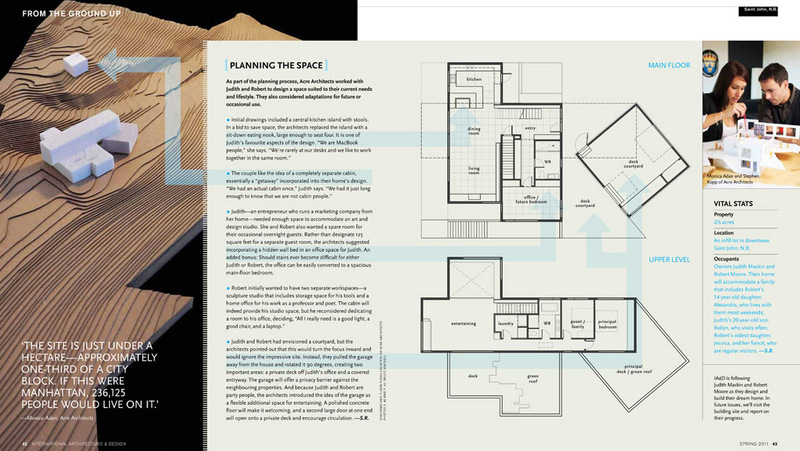 The spring issue of International Architecture & Design magazine continues to follow the design development stage of our Into The Wild house in Saint John. Read the IAD_New Brunswick_Part 2. Article written by Atlantic Journalism Award winner Suzanne Robicheau.